Intended use: Conditioning/training runs, heel strike biased. 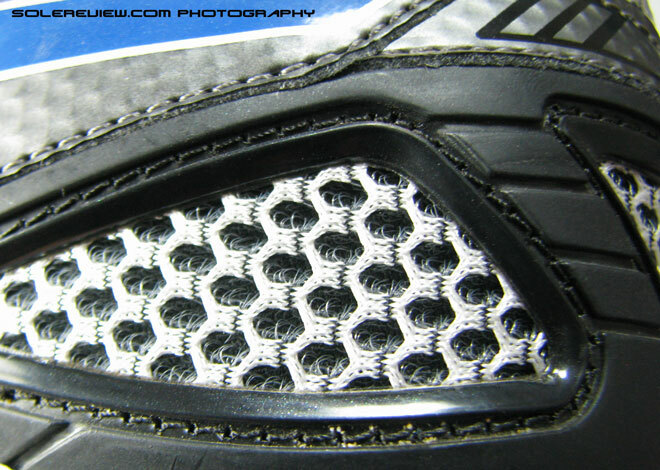 Midsole: Dual layer compression molded EVA, Gel cushioning units in heel and forefoot, thermoplastic shank. 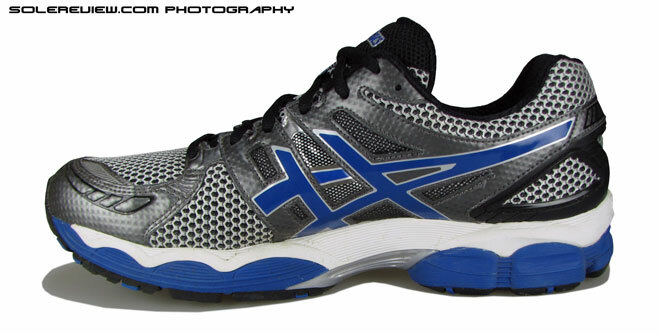 Asics's premium neutral running shoe in its 14th year. Stills feels reassuringly expensive and plush, with great attention to detail and materials. Changes to the outsole construction results in a slightly firmer ride than its predecessor, and updates on the upper results in improved ventilation. While the Nimbus could do better in some areas, but overall the lightweight Nimbus 14 is a worthy successor to the series, aimed to please neutral runners and mild pronators with its cushioned, yet stable ride. 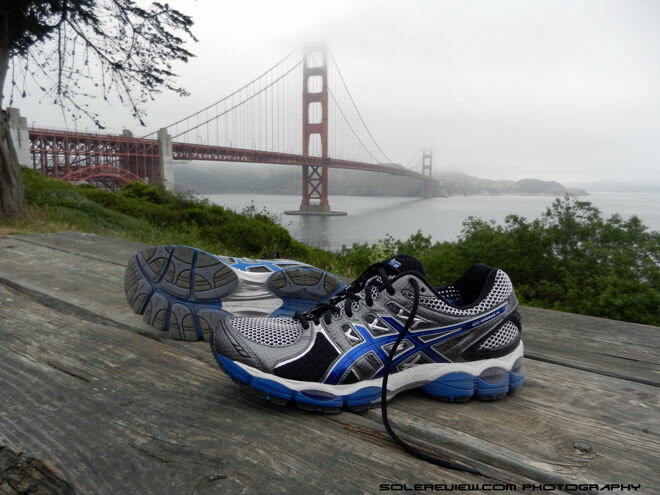 San Francisco is one of our favorite places to run in. There is nothing like running alongside the bay, with the Golden Gate bridge and the Alcatraz prison in the distance. And don’t get us started about the cool summers – temperatures just perfect, with mornings bringing in the rolling fog, covering the tip of the Golden Gate bridge. One such delightful morning, we decided to go for a rather longish run. A run which would take us from the Hyde street pier in Fisherman’s wharf to the other end of the Golden Gate bridge, and back. Which would have made it around 22 kms, just over a half marathon distance. That’s almost two hours worth of concrete pounding, so we needed a shoe which had cushioning – lots of it. 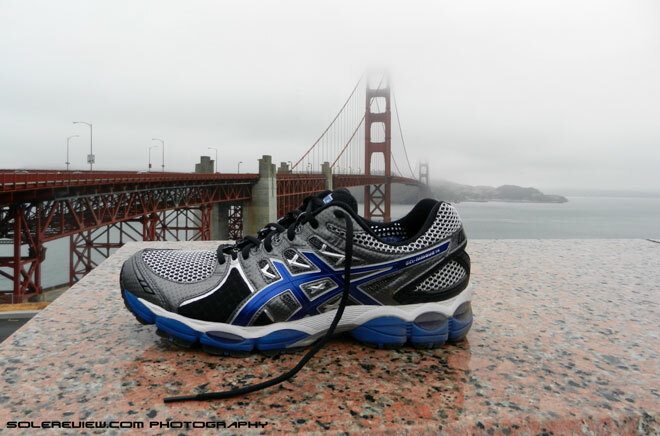 A brief mental tug of war between the Mizuno Wave Prophecy and Asics Gel Nimbus 14 ensued; the latter won, and we decided to lace them up and head in the direction of the Golden Gate bridge. This also sets a new record for any shoe we’ve tested so far on solereview – we usually don’t run a half marathon on a squeaky, brand new pair of shoes straight out of its packing paper; our usual distance being 5-10k for the first run. This FA12 release is Asics’ 14th stab at recreating the Nimbus. Like the versions past, the Nimbus 14 has been designed ground up, with no shared parts carried over from the Nimbus 13. It manages to shed some flab too – apart from losing around 5% weight from its previous version, the shoe gets a slimmer profile, and at 11mm, one millimeter gets shaved off from the heel to toe drop . 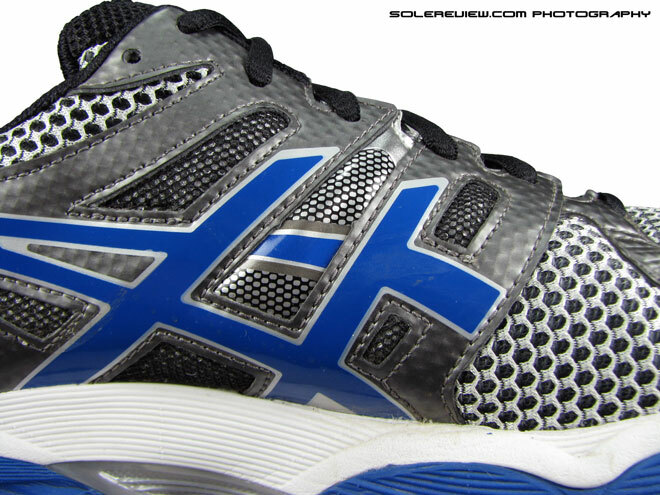 The retail pricing goes up by $10 over the Nimbus 13’s $130 sticker tag, but let us tell you this – the Asics Nimbus 14 is a solid improvement over the 13, with increased level of detailing, materials and improvements in the overall ride, making the price increase justified. The big redesigns happen on the sole unit, so let’s go there first. As we ran past the Ghirardelli square and onto the short uphill climb towards Fort Mason, we sensed that the new Nimbus was noticeably stabler and firmer than the outgoing Nimbus 13. Three major changes in the sole design work towards this new ride sensation. First – in the Nimbus 13, the firmer (white) foam ran from heel to toe on the outer side, but stopped just short of the midfoot on the inner side. 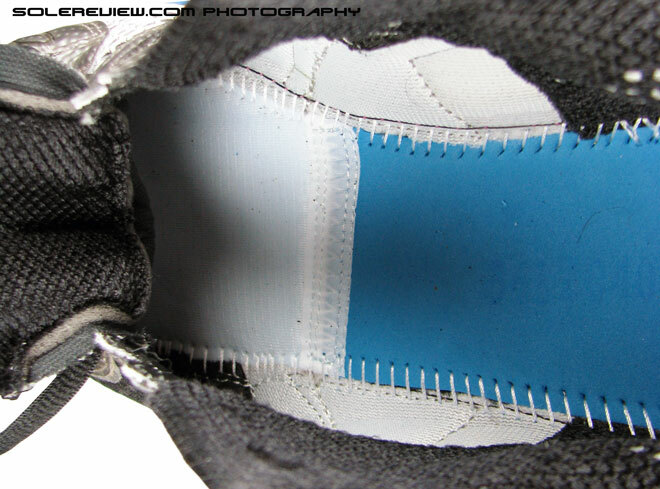 In comparison, the white liner midsole in the Nimbus 14 stretches from heel to toe , but on both sides. This consistency in material usage results in a ride which feels uniform, and a tad firmer. 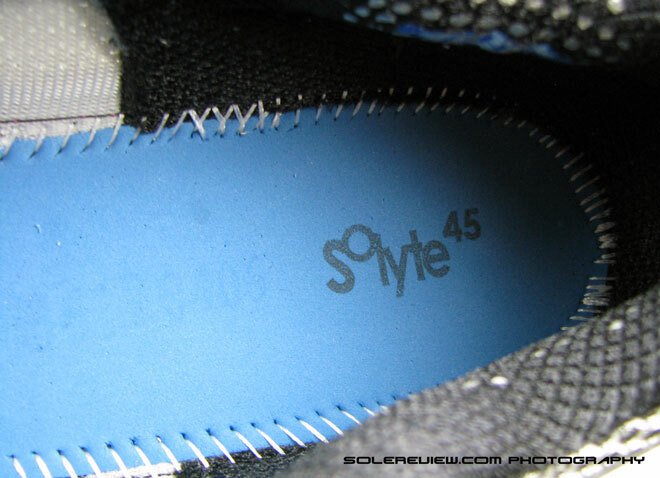 The second update is its midsole shank (‘Space Trusstic’ in Asics lingo), a plastic stability device which has empty space between it and the midsole, allowing for midsole deformation during the heel to toe transition. The Nimbus 13 had a single piece shank, but it evolves to become a two piece unit in the 14, with exposed midsole foam running through its center. 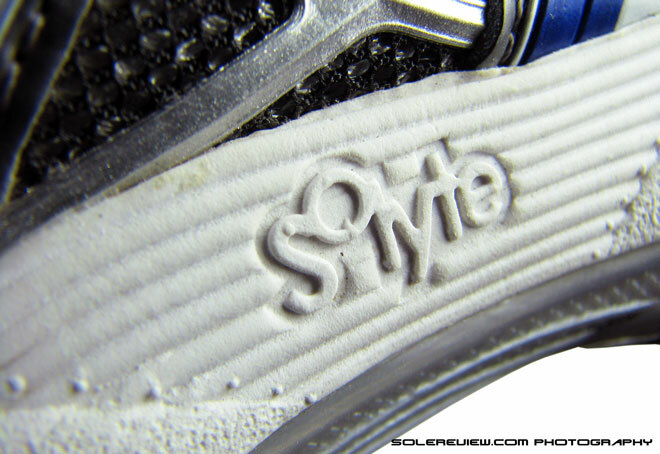 The split construction of the new unit allows an unbroken heel to toe groove ( ‘Guidance line’, see outsole picture), keeping the weight in the center and helping the Nimbus 14 keep its line as it goes from heel to toe. 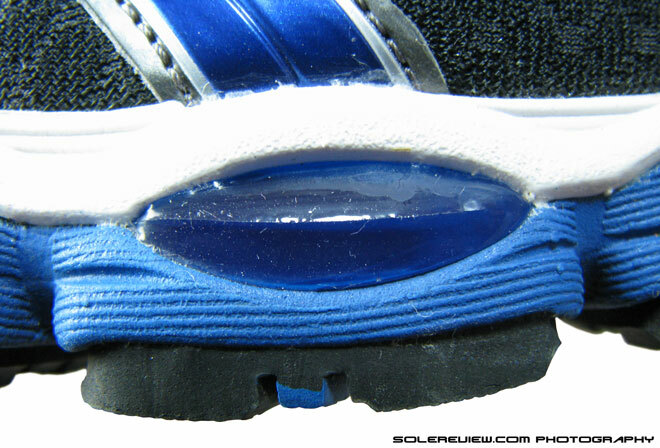 The third change is the sole construction in the heel ‘Gel’ cushioning unit. 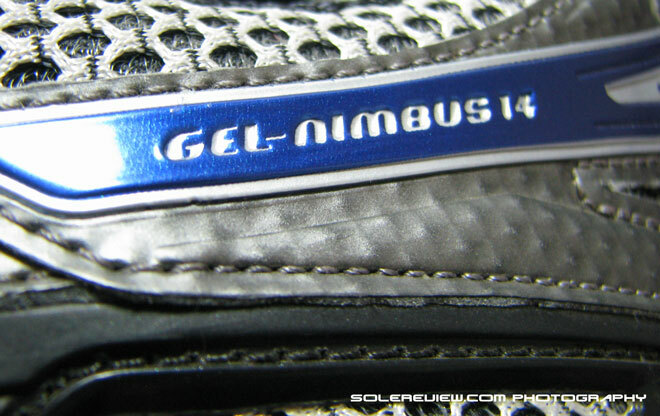 The Nimbus 13 had a single heel gel unit with three visible ‘windows’ – two on the outer side, and one just at the center of Achilles. 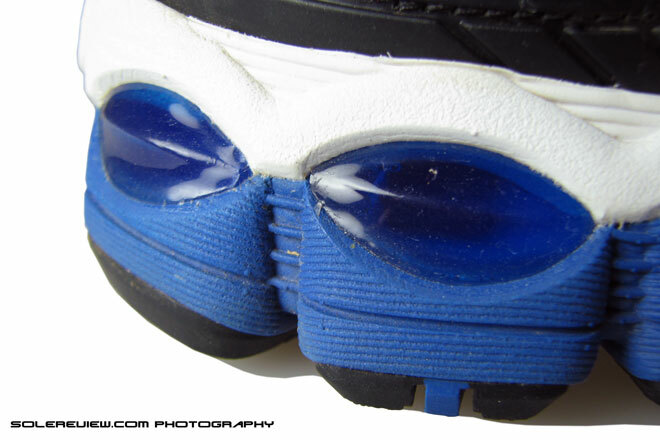 The Nimbus 14’s Gel unit closes the third window in the heel, filling that up with white midsole foam. 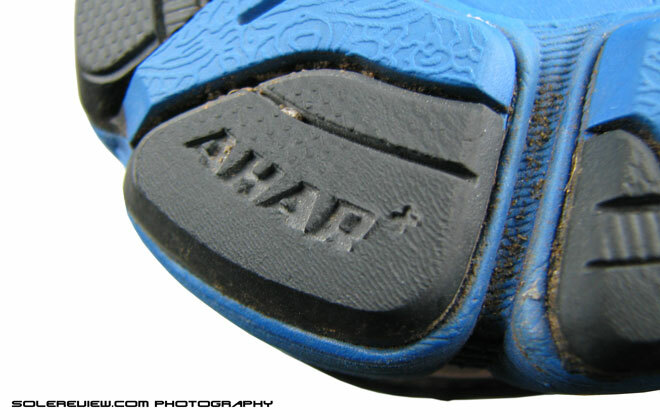 This reduces the extent of heel deformation on landing, and contributes to the overall sensation of a firmer ride. We trained our attention towards the forefoot, where the Nimbus 14 splits the rubber sole pieces into seven units, relative to the Nimbus 13’s six units. 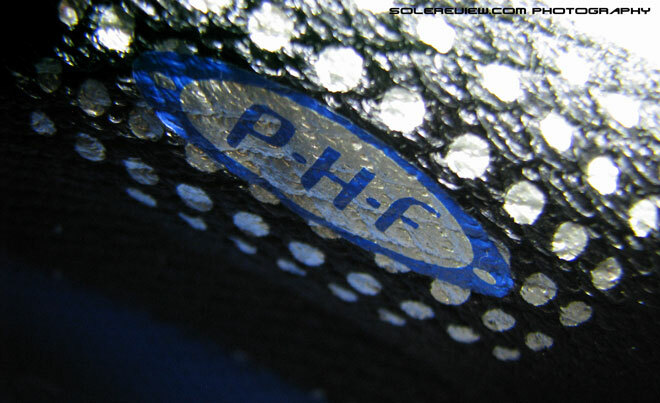 This creates an additional deep flex groove to improve flexibility, but this is more of an attempt to compensate for use of the firmer midsole on the inner side. Our test run affirmed this; since we did not feel the new Nimbus 14 to be substantially more flexible in the forefoot compared to the 13, this only points to the fact that the new flex groove has tried to cancel the effects of reduced flexibility of the firmer midsole layer. 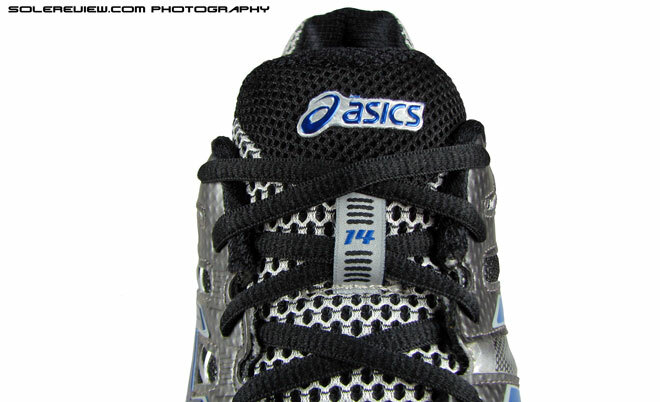 A clever design move by the Asics’s designers which has translated into a practical solution on the Nimbus 14. The flexibility in the front is also aided by three grooves on the upper surface of the midsole – these are invisible ridges running sideways, and can be felt by removing the sockliner and running your fingers firmly over the midsole. Down below, the shoe retains its combination of soft, but durable blown rubber pieces into the forefoot which provides adequate damping and grip. While the Nimbus 14 remains a go-to shoe for neutral runners who seek a high level of cushioning for pavement pounding, it will also work for mild pronators. The reason is simple, really. The cushioning on the heel (and extending to the midfoot) is outer biased, since the visible Gel unit windows are only on the outside. 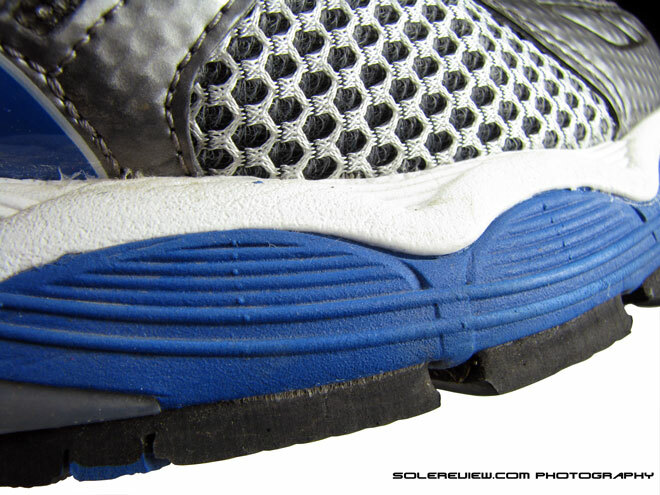 This points to a higher level of cushioning on the outer side of the shoe relative to the arch side, allowing for a mild level of motion control. While the Nimbus is not meant for runner with severe pronation, it does have a dual purpose. Think of it as Nike Lunarglide 4 watered down in the motion control department. The interior of the upper is standard Nimbus fare which runners have come to expect over the last many years, and more. Plush fabric linings padded with foam in the heel and tongue areas, with a molded Comfortdry sockliner to rest your soles on. 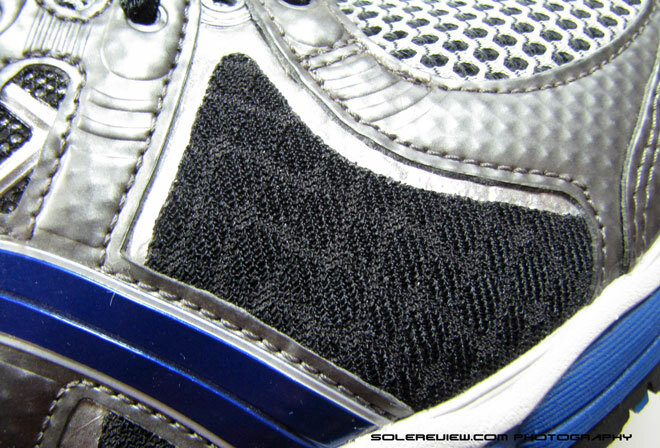 There are midfoot stretch panels on the arch side and on the outer side of the forefoot. Both of which are carry over features from the Nimbus 13. Except that the forefoot stretch panel is now a breathable type, moving away from the elastic film type used on the Nimbus 13. 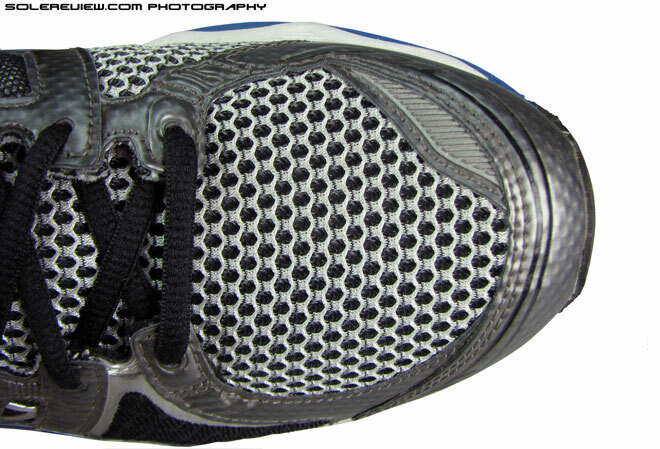 So the Nimbus 14’s forefoot gets better ventilated, and likewise for the midfoot panels (where a different mesh is used in combination with the primary mesh) and the external heel counter, which now has an opening in the center of the Achilles which lets some air in. 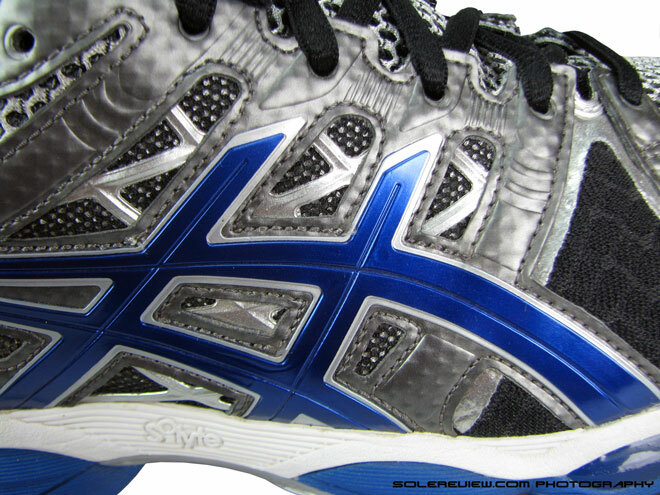 The synthetic leather panels and molded Asics logo now extends right to the heel area, bolstering the sides of the upper for upgraded support. And wait. There’s more. The kind of synthetic leather used in the Nimbus 14 looks and feels more premium than the 13, with a surface texture which looks vaguely holographic. Remember the color and design changing rulers we used to play around when we were kids? Something like that. And the fact that the material on Nimbus is molded in many places makes it look very alluring. All that said, do we feel that the Nimbus 14 can do better? Yes, we do. 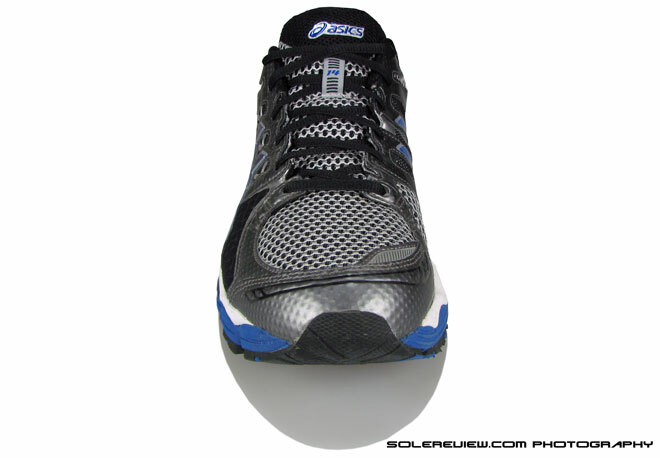 For starters, while the forefoot feels roomier than the 13, the positioning of the stitched-on synthetic leather strip on the toe box (on the arch side of the shoe) feels obtrusive while running; Asics could either move the component more towards the top of the toebox (a la Glycerin 9) or use a softer material which is thinner and more pliable (Brooks Glycerin 10). The other thing which Nimbus 14 lacks is the all around snugness made possible by elastic gusseted tongue or a midfoot sleeve which gently locks down the foot in place. 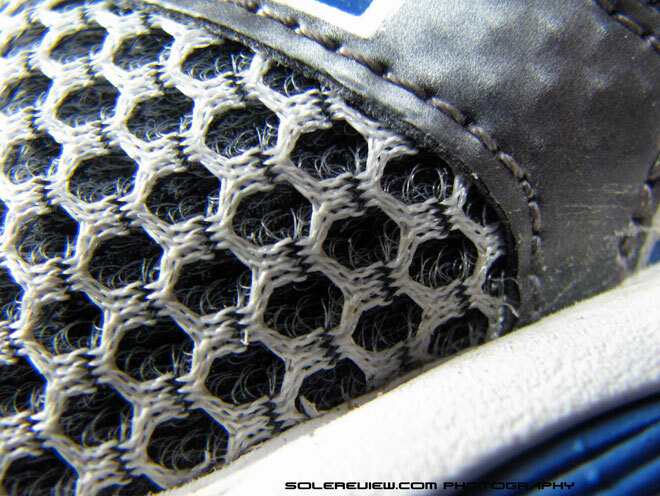 The footwear market is replete with so many examples on how to do this right – by which we mean to say that a midfoot sleeve need not mean constriction. 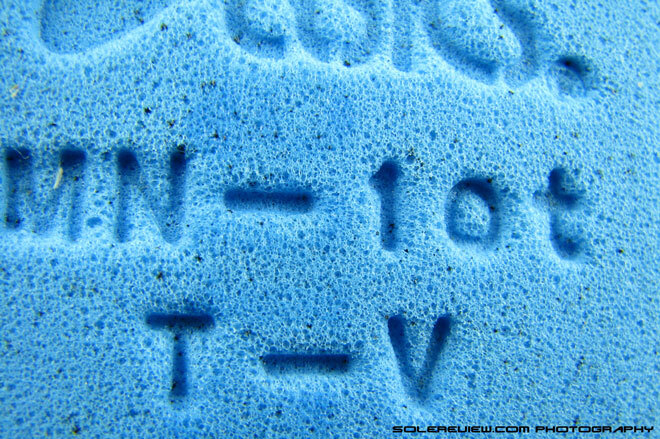 It also prevents the tongue from swimming around, trace instances of which can be found in the Nimbus 14. But, but. While the shoe is not perfect, the fact remains the Nimbus 14 is a very good shoe, worthy of bearing the Nimbus coat of arms. It is a running shoe which does not skimp on the level of materials, has excellent cushioning blended with stability, and a lot feels right when you slip into them. 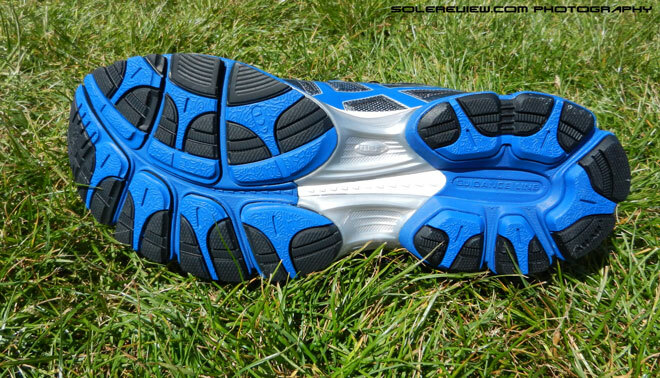 More so when the other contemporaries like the Nike Vomero 7 falls short on delivering value. It is also relatively lightweight at 331 grams for all the bells and whistles it has. If your shopping list includes a neutral shoe meant for pounding pavements and you have $140 to spend, the Nimbus 14 should be on it. It will check all the boxes – plush ride, ventilation and then some.